Summary : This Stamford establishment has been around for 80 years and their 12 inch bar pies come with a variety of toppings. No trip here is complete without trying their signature hot oil. 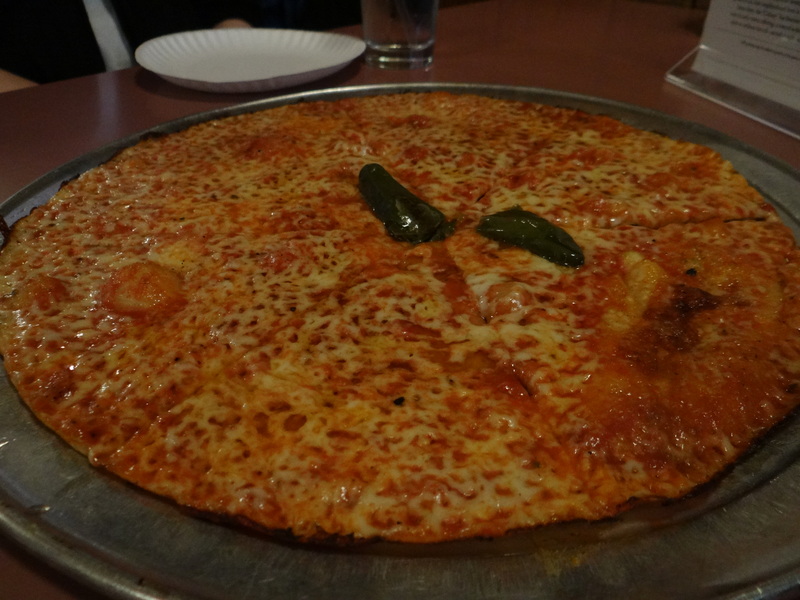 I always enjoy a little spice on my pizza whether it be jalapenos, red peppers, or the hot honey at Paulie Gee’s in Greenpoint. That list now also includes the hot oil pizza from Colony Grill (172 Myrtle Avenue) in Stamford, Connecticut. I’d had pizza from Colony before, but this fall I thought it was about time I paid a visit to the actual establishment. 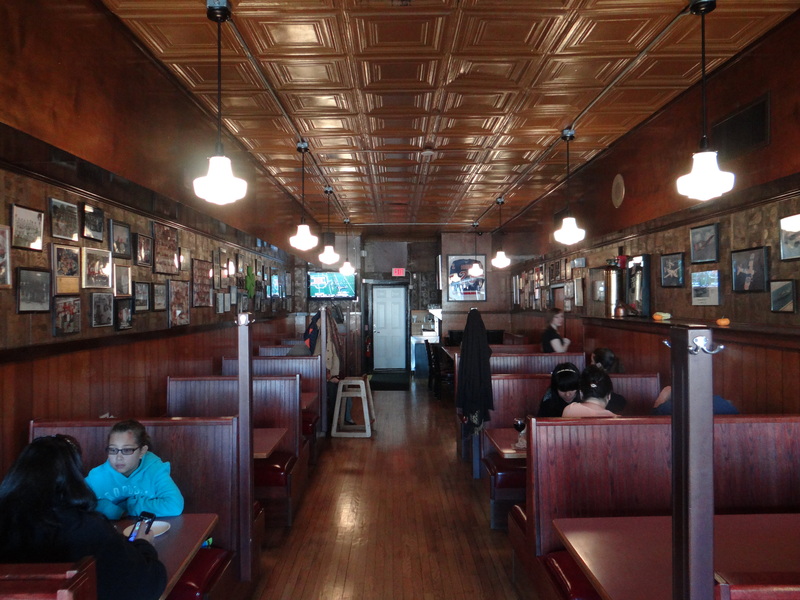 Only 45 minutes from NYC, a meal there is certainly doable with a 3-4 hour Zipcar rental. And worth the trip. 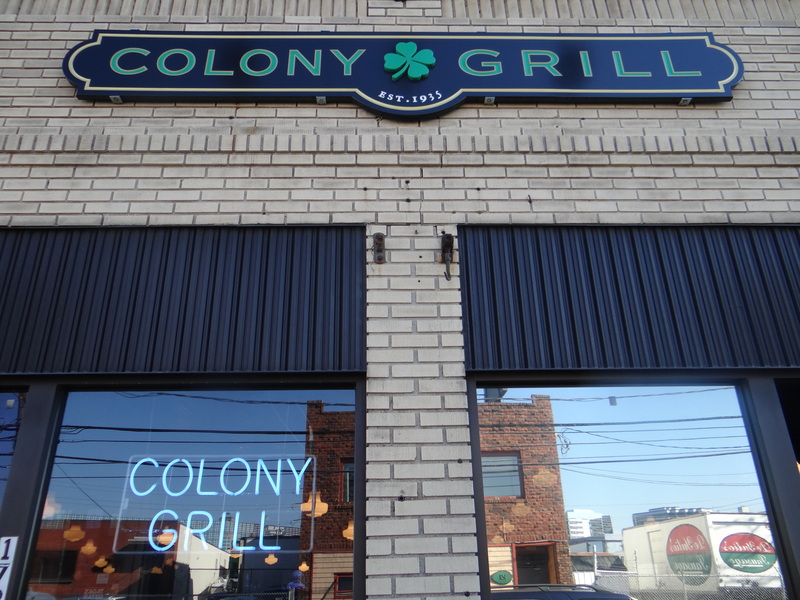 Colony has been around since 1935 and they keep things simple. Very simple. 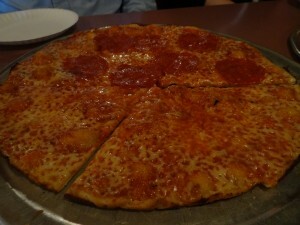 They serve thin crust 12-inch bar style pies for $9.00 and you can add a topping for $1.50. 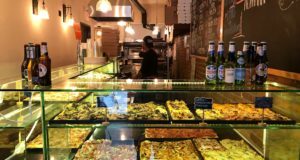 There are 12 toppings to choose from — all the standards — including mushrooms, onions, pepperoini, sausage, and peppers. But one topping you must try is their signature hot oil. 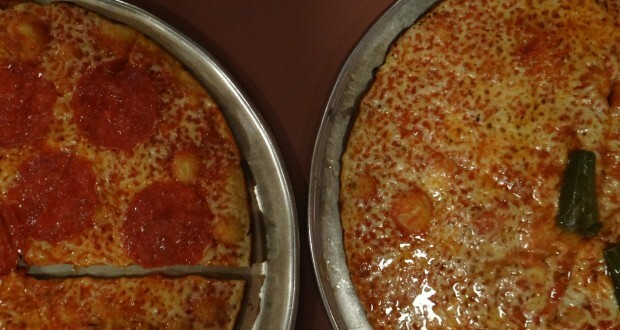 If you’re one of those people who pat down your pizza with napkins, this isn’t for you. But short of that, it’s something that you will most definitely enjoy. 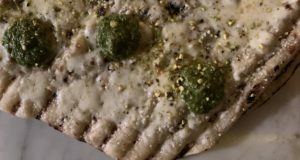 It gives every bite a kick — not so much so that you need to wash it down with water — but enough so that it elicits a fun sensation in your mouth. To be honest, on the afternoon I was there, the oil did not appear to be as “hot” as I’d previously experienced. I’m not sure if there was any rhyme or reason to that, but it’s possible that there are some inconsistencies to level of heat. 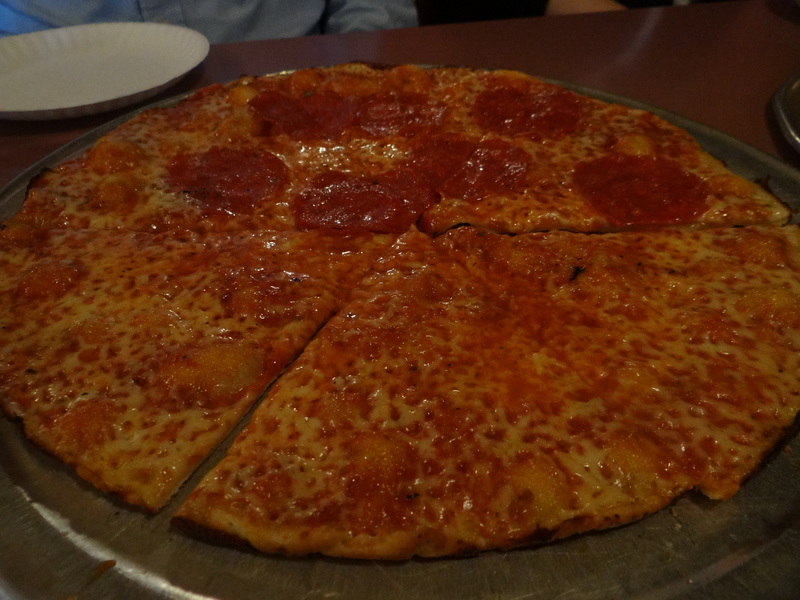 We also got a half plain / half pepperoni pie which was good, but the action is really all with the hot oil. The pies are essentially personal, although three will probably suffice for a party of four. 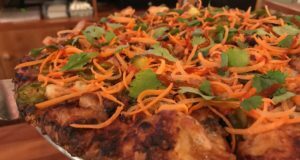 The prices are to die for and they even have a delicious local beer on tap from Half Full Brewery (full disclosure: a friend owns the brewery — and all their beers are GREAT!). 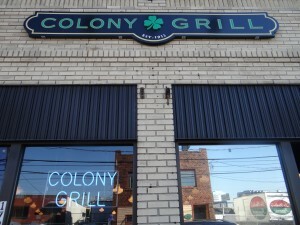 In fact I can’t think of a better day trip than a trip to Colony and drinks at Half Full.